Who says Karaoke is just for adults? 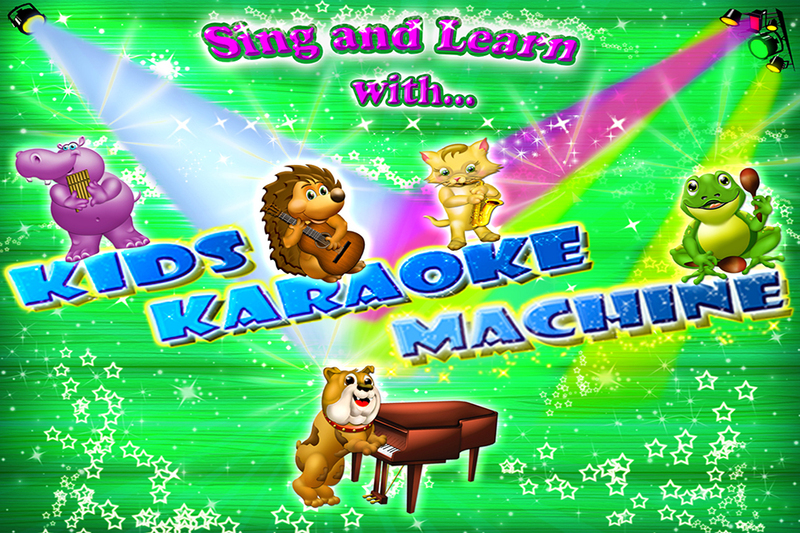 Kids karaoke Machine is a musical fun filled app for the entire family. 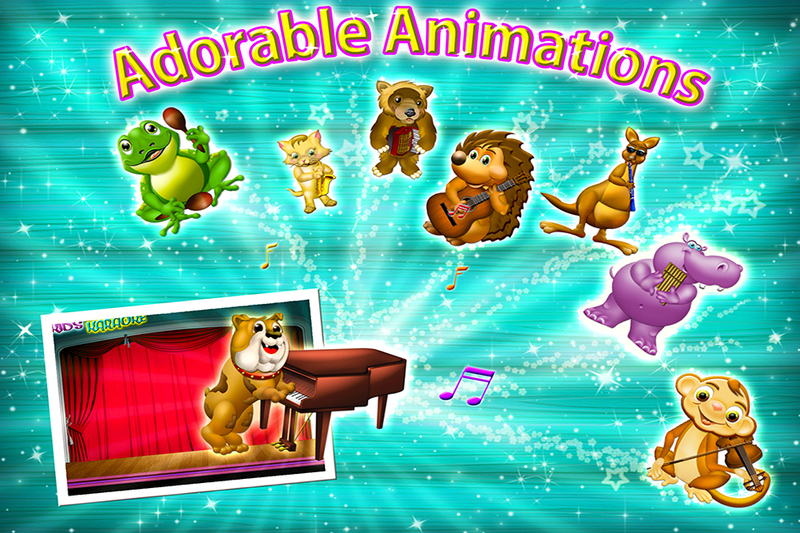 Let your children learn these classic songs with an orchestra of the cutest instrument playing animals. 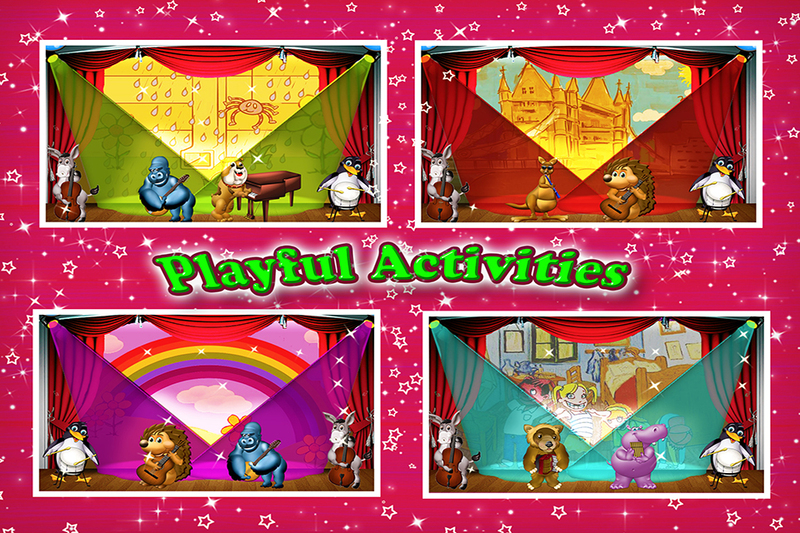 You and your little ones are in for hours of rhythm, color and laughter. 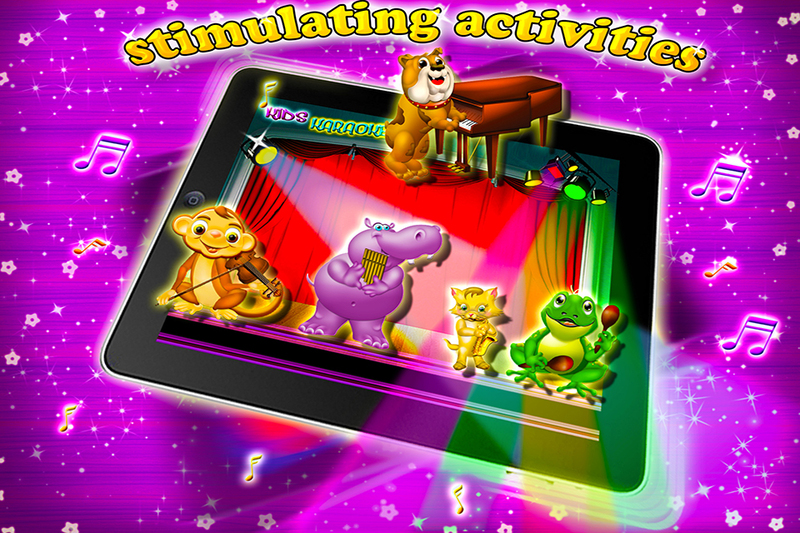 The dancing interactive animals with HD colors and sounds will make this Karaoke experience the best ever. Designed and tested with parents and children of various ages, it is a one of a kind experience not to be missed! Note: First 6 songs are free and supported by ads. 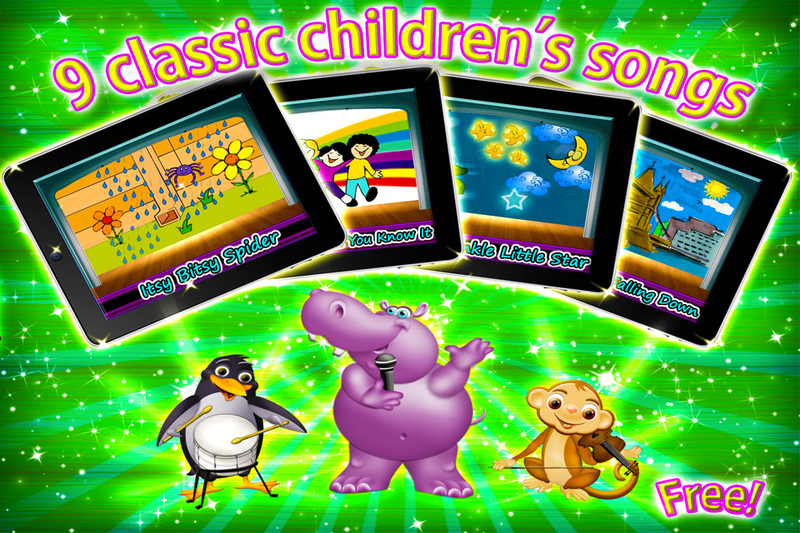 A full version with all of the 9 songs and without ads is available with an in app purchase. then turn the volume up and the sound will work properly. Animal Feeding Fun � Toss game and educational activity HD !